Did you know that Thirty-five million women experience stress urinary incontinence, a common type of bladder leakage, which can be triggered by coughing, sneezing, laughing, lifting or even exercise?Do you leak urine when you do any of the above activities? Well, ever since having kids I sometimes leak urine when I run. It's not fun, but it's a part of life. 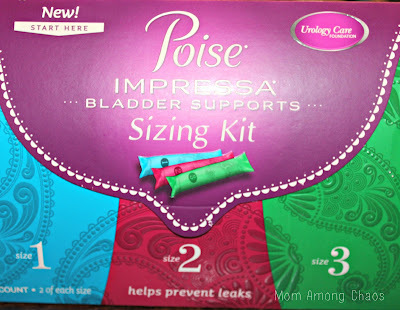 I'm so glad that Poise Impressa Bladder Supports has got us girls covered! No more embarrassing leaks! 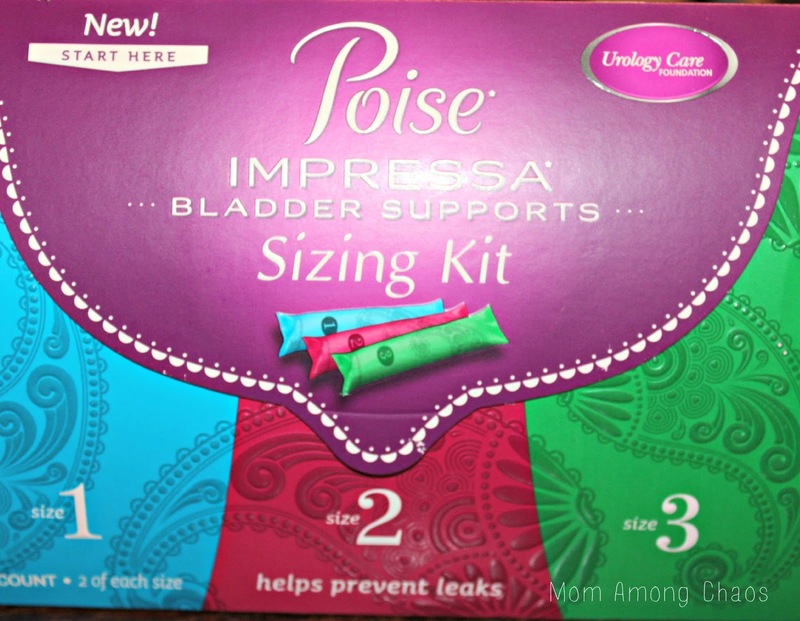 Are Poise Impressa Bladder Supports right for you? If you leak urine when you laugh, cough, sneeze, dance, or exercise you may be the right candidate. 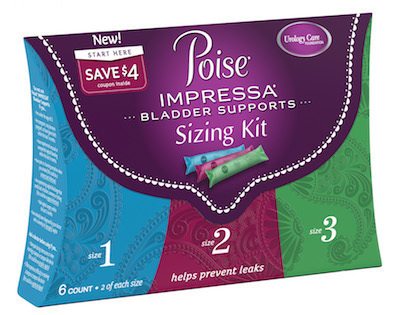 Here is a Poise Impressa coupon so you can pick up a Poise Impressa Blader Support Sizing Kit! Size 1 is a good start. If it works for you and you have little to no leaks, you're using the right size. Move up to size 2 if you're having minimal leaks. If you're still leaking your perfect fit would be a size 3. How does Poise Impressa Bladder Supports work? They are inserted like a tampon, but they aren't a tampon. What they do, is support the urethra to prevent leaks. Pretty amazing! So, no more worrying about leaking in your Zumba class! Are you ready to kick this leakage thing to the curb? I am! All you have to do is head to the store and don't forget to take along your Poise Impressa coupon! For more information please visit Poise Impressa Bladder Supports!